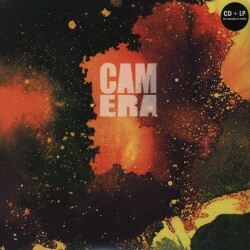 Berlin-based trio Camera has played with Krautrock legends Michael Rother and Dieter Moebius and performed at the German Film Prize and Echo Awards ceremonies. And now here is their debut album. Camera's musical spectrum ranges from driving motorik rock to serene, epically flowing tracks by way of foreboding soundscape ridges.